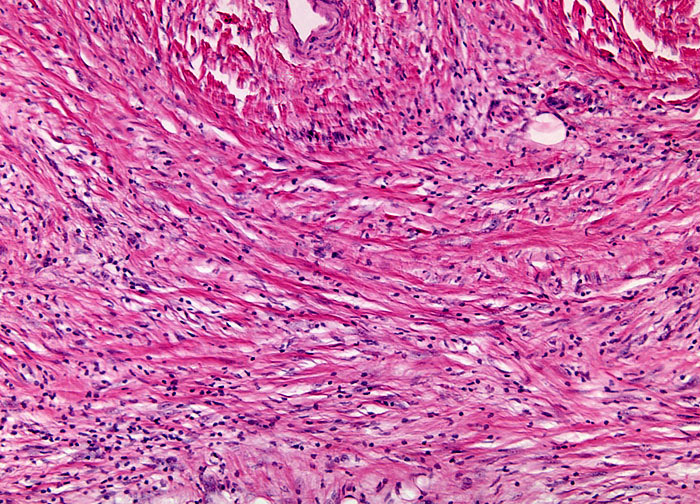 Malignant schwannomas are rare and are classified among the soft tissue sarcomas, accounting for about ten percent of all such tumors diagnosed. They are frequently alternatively referred to as neurofibrosarcomas or malignant peripheral nerve sheath tumors (MPNSTs). Individuals between 20 and 50 years of age are more likely to develop malignant schwannomas than children or the elderly, but the tumors can appear at any age. Notably, when associated with the autosomal dominant genetic disorders neurofibromatosis I and II, onset is typically many years earlier than the average onset age. About 50 percent of malignant schwannomas are linked to one of these disorders.